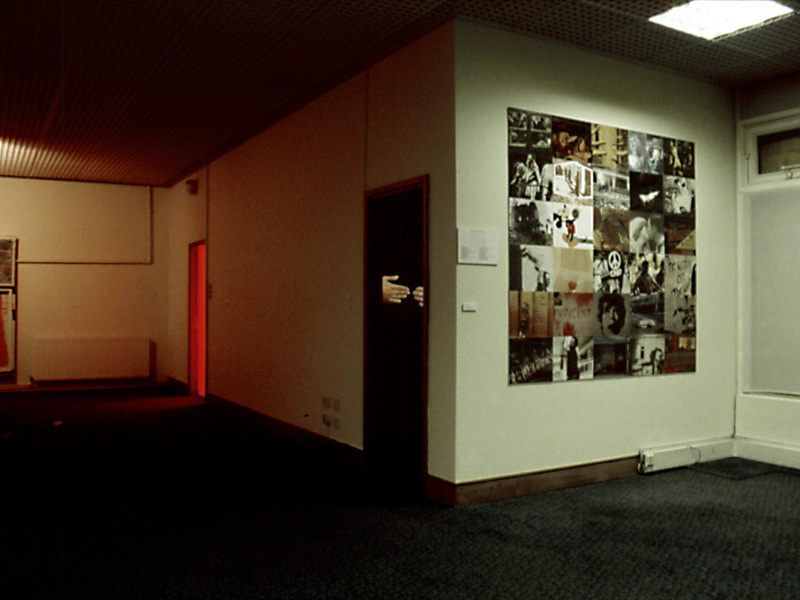 The video work One Beat Per Minute examines a childrens' game through use of slow motion video. 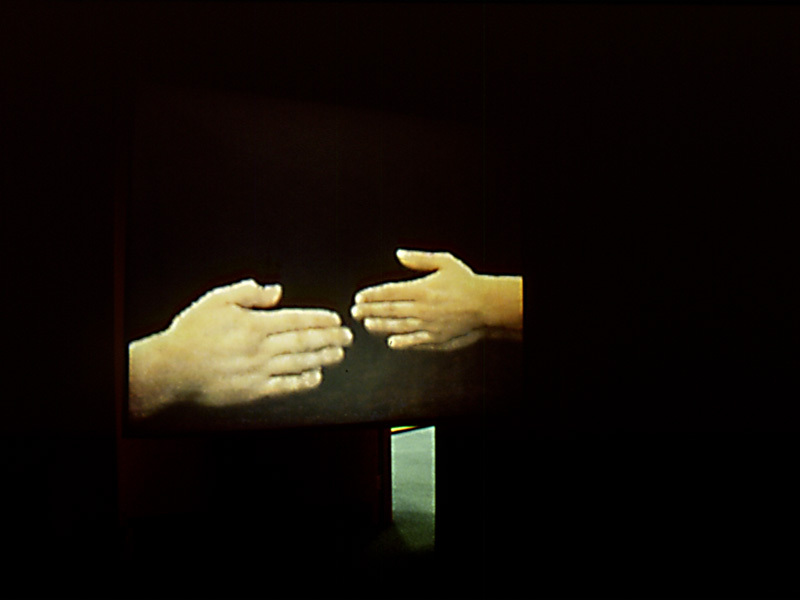 Two pairs of adult hands confront each other trying to hit each other. 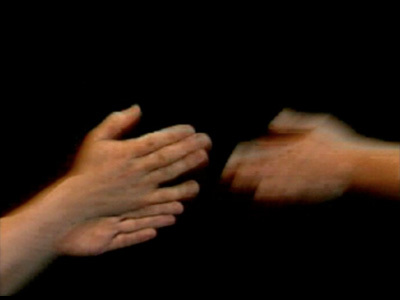 The slowed down video and sound creates a violent overtone to the game.